Sword of Shadows - The ancient realm of Jianghu is once again under siege by dark and powerful forces. Each martial arts school is fierce and fearsome in its own right, but is any one faction strong enough to take control of the kingdom? In Sword of Shadows, players will embark on a journey to become a martial arts legend in a dazzling world powered by the second generation Flexi Engine. Sword of Shadows is the latest epic martial arts MMO title from Snail Games. It is full of exciting gameplay features and dynamic battlefields, including the Team Arena, Sky Arena and Conquest, and more The game also includes flying skills, expanded quests, expanded guild functions, and more in a breathtakingly detailed environment. Powered by the second generation Flexi Engine, Sword of Shadows takes players on an authentic journey through an ancient martial arts kingdom, as they become legendary warriors. We've paid incredible attention to detail to ensure that Sword of Shadows raises the bar in terms of what 3D mobile games can accomplish visually. In Sword of Shadows, players can literally take flight, allowing them to experience a martial arts battle like never before. The Eight Fighting Flying Skill allows players to soar above their PvP opponents. Players can also learn the Ultra Flying Skills to fly across Sword of Shadows' expansive map. Sword of Shadows' fast-paced and dynamic combat mechanism allows players to adjust the combat mode based on the circumstances of the fight. Players will master a range of martial arts abilities and battle tactics, including the ability to block feints and break through defenses to defeat opponents. The Snail team has also added refraction and displacement effects to increase the visual impact of Sword of Shadows' unique martial arts moves. The path to martial arts mastery begins in one of Jianghu's five Martial Arts Schools! Each school has unique qualities that provide endless opportunities for character customization. Are you a swift and silent Tangmen ninja? Or are you more Emei, as brutal as you are beautiful? Between the five featured schools in Sword of Shadows, players are guaranteed to find the path to martial arts mastery that is perfect for them. 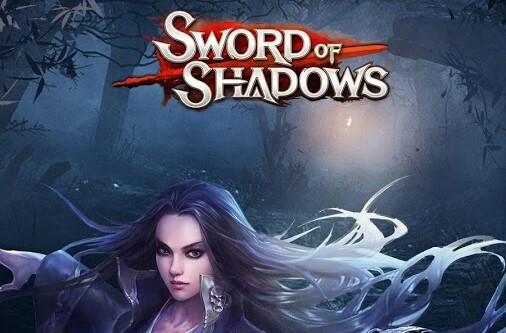 Sword of Shadows: install APK and play the game.